If you have been reading my blog for any length of time, you know that I love to read. Books, magazines, cereal boxes, you know, anything I can find! I am constantly reading! We do a lot of reading out loud in our homeschool and the kids all enjoy the different books that we end up reading. Every month or so we have a new book for their book club that we read together as well as some for history and other subjects that we do in our school. 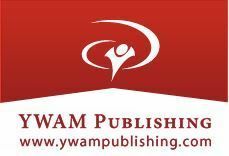 I was quite excited then when I was asked to review a book from YWAM Publishing! I hadn’t heard of them before but in looking at them closer I was fascinated. There was a long list of books to choose from, but as I made my way through the list the choice was clear! We picked the Heroes of History – Daniel Boone: Frontiersman book. Why did I pick him out of the many given? Because Jeffy’s side of the family is related to him! I have been wanting to find some information on him for a long time, but something that the kids would be interested in as well. This book was perfect! We started reading and everyone was immediately hooked at the story that was being told. Shortly after starting the book I reached out to Jeffy’s aunt who has done extensive research in the genealogy of Daniel Boone. While waiting for her reply I was able to log on to the Unit Study Curriculum Guide that was included for our review and see what it included. I was blown away with how thorough it is! As you log on to each author you get a great main screen that is very user friendly. Here is what the one for Daniel Boone looks like. The first tab is the author and for him it shows a short biography. The next tab is Unit Study. I love that it offers different information for various options. Small groups, classroom and homeschool. They are pretty similar, but you tend to do things differently in each of these situations. You can then click on the Unit Study tabs. You can choose from Part One or Part Two. Part one is so incredibly thorough. It is 76 pages! Now, like most Unit Studies, you can cover all sorts of different subjects in one unit study! I will get to that in a minute.. At the beginning are some quotes that go along with the book that you can use to memorize or have discussions about…anything really! Next is a section called Display Corner which suggests ideas on things to collect, research and have a more physical grasp on some of the things talked about in the book. I will say that we looked at the photo that was included of Daniel Boone and the kids were trying to find any family resemblances. hehe. What we have enjoyed a lot are the chapter questions. There are only six questions for each chapter but the questions chosen lend themselves to more discussion and introspection. The first question is actually a definition. They want to make sure the child knows the word well enough to be able to use it in a sentence. Next is a factual question from the book. Two more questions help gauge the comprehension that the children are getting from the story. The last two questions are more open ended and those are the ones that tend to bring out different opinions from each child. The answers to the first four questions are towards the end of the study guide. Like I mentioned, unit studies are famous for having all sorts of subjects included. This does just that. History, of course…Geography, Essay writing, Creative writing, Reading comprehension, Public speaking, Drama, and Art. Now, of course this depends on how much you do of the unit study. We don’t usually do a ton of the Drama sections, but we have been known to do a few, they usually end in a fit of giggles…which is just fine by me! 😀 This next section in the study guide is called Student Explorations. This is where you find essay questions, creative writing and various hands on projects. My kids have been on an art kick lately so I jumped to that section first. The kids all are pretty interested in guns but Ryan especially, so I chose to have them research and draw a flintlock rifle as well as draw the firing mechanism up close. The guide says to label all of the parts and give a presentation on how it works, but for time I chose not to have them do the labeling and since they were all researching the same thing I didn’t have them do a presentation. I think for future sections I will assign different things to each of them so that this will be able to happen. Part two of our Unit Study is just a few pages. It includes a timeline, a couple maps and a fact sheet. We have done so many of the items in the study guide that it is taking us a while to get through the book. We are about half way through at the moment. We don’t mind that it is taking us a while to get through though, which is saying something. The kids are all learning a great deal of things besides just Daniel Boone and that is one great thing about unit studies. The book is also quite fascinating and is told in an easy way to understand. Even though my kids are older, I don’t feel like it is too young for them at all. It still includes the bad things that happened. I am honestly thinking of doing a bunch of these as part of our curriculum since they are so thorough. There are so many choices of books and they are always adding more! I believe that I was the only one that reviewed Daniel Boone in our group, but feel free to click the banner below to see what books others chose to review!